Rainbow trend is definitely a very bold statement. 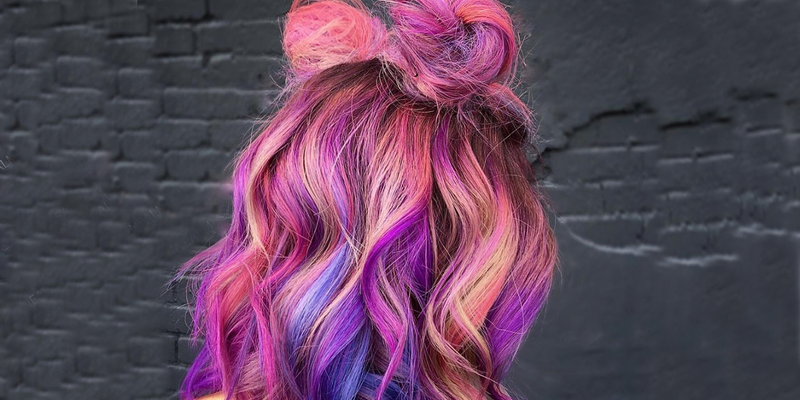 However, if you love the colourful look, we would undoubtedly suggest you give the multi-colored hair trend, at least a temporary shot.But, if you are still sceptical to sport the look on your entire hair, you always have the hidden rainbow hair trend. 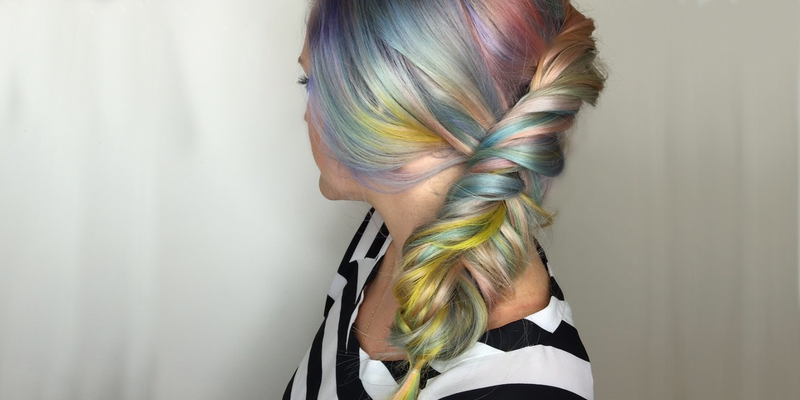 Currently the rage of the season, the rainbow hair will most definitely catch the attention of the onlooker. We are not going bore you by telling the step by step procedure to dye your hair with the rainbow colours, as we are certain you are already aware of it. 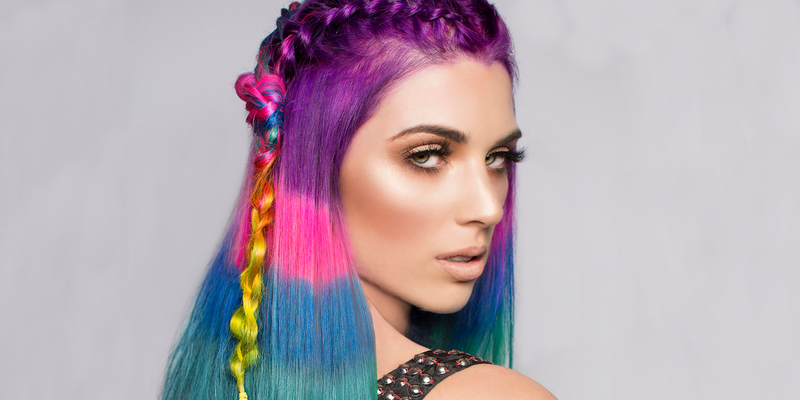 Instead, today we are going to discuss with you 10 hairstyles that will make your rainbow hair all the more glamorous and chic. 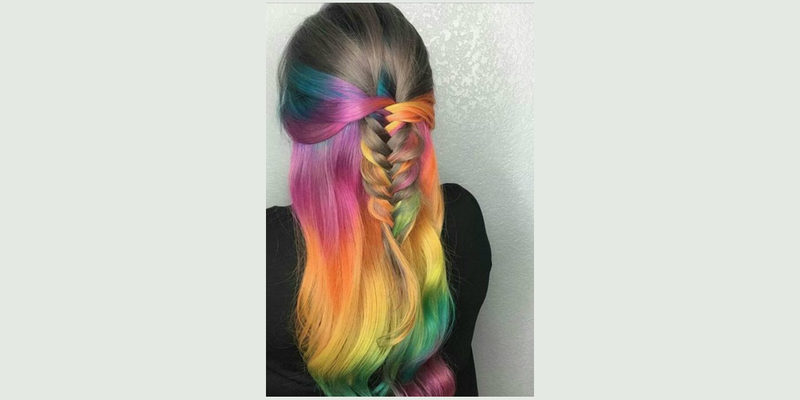 If you have blunt or shoulder length hair this is one of the unique rainbow hairstyles you can try on an everyday basis. Colour the inner portion of hair with 4 different shades and start colouring 1 inch from the scalp. Style your hair by leaving them open and letting the colour peep through or by pinning up the top section. If you mostly keep your hair up, we suggest you color the lower portion of the hair (near the nape of the neck) with the rainbow colours. 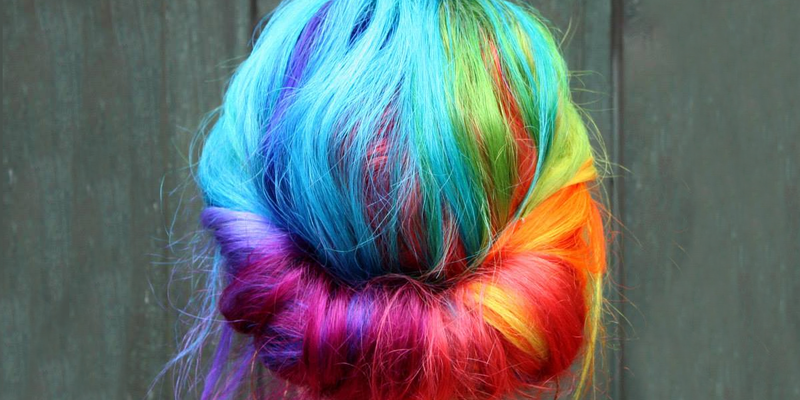 This way, the next time you tie a bun the rainbow colours will show through the strands on the back of your head. 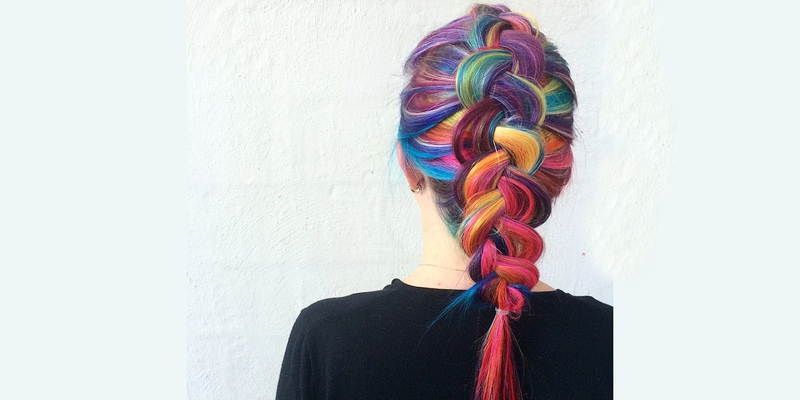 You can try and dye your hair with the rainbow colours on just one side, preferably at the back of your head. This allows you to try and sport all the messy and neat side braids with just the right pop of colour. Just like the above style, colour the back section of your hair, the only difference being, this time, color the layers of strands that are closer to the scalp. This way your half bun can enjoy the sleek and elegant look on the top and fun and flavour on the back. 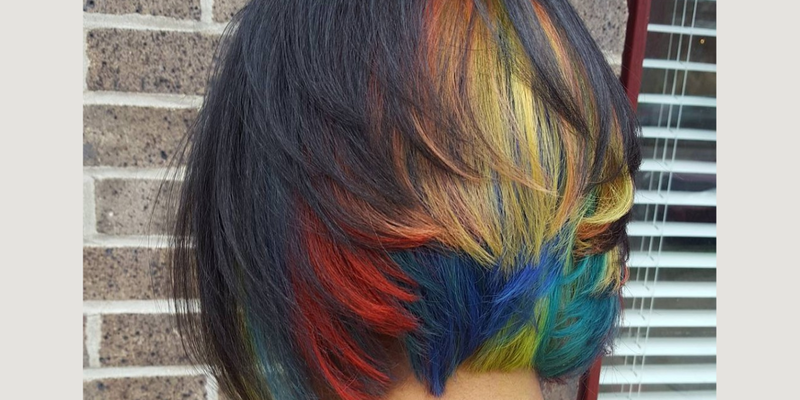 If you have multiple layers in your bob hair, one way to sport the rainbow trend would be to color the edges of inner layers with the bright rainbow shades. 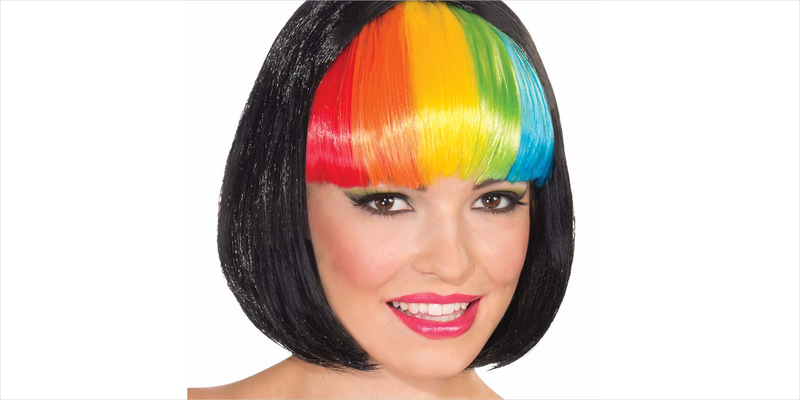 If you mostly leave your hair open this would be the best rainbow style to go for. If you wish to go for comparatively unusual rainbow hair pattern, we would suggest you opt for block pattern instead of the conventional linear and vertical stroke of colour. The effect comes out edgy and of course colourful. If you love the pop of colour and are absolutely certain about getting the rainbow colours. Dye all your hair with rainbow colours. Take thin strands and colour the preferred colours. The look comes out particularly distinct with the edgy braids, like the French or Dutch braid. If you don’t wish to go for bright and vibrant, you can easily go for soft toned rainbow shades to make the look effortless and eye appealing. 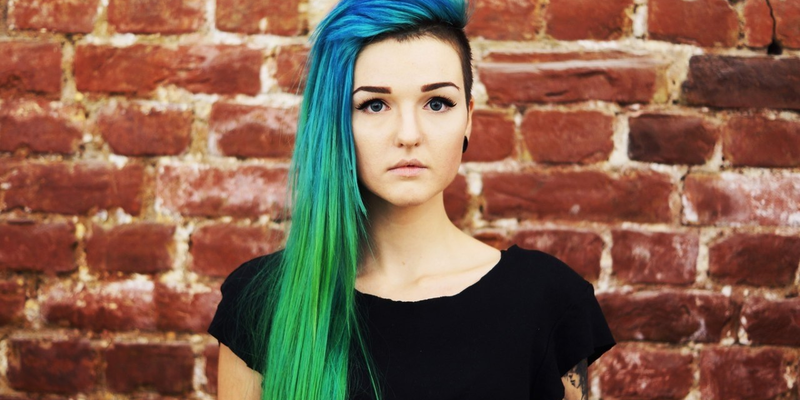 You can just dye your bangs with the rainbow colour to get the trending look minimally without much effort. 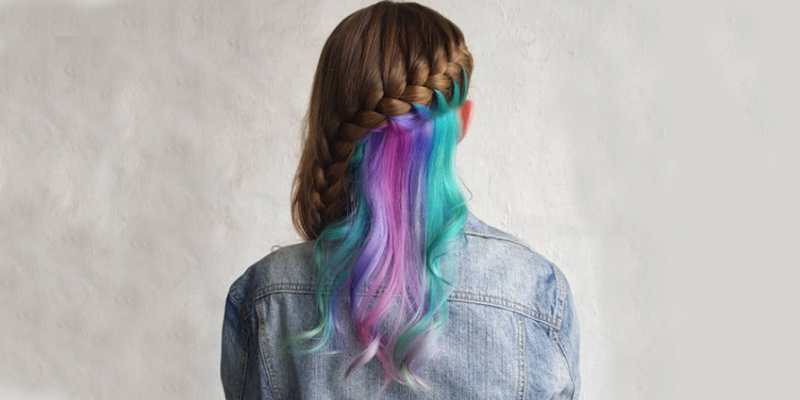 Go ahead, style and enjoy the trending hidden or expressive rainbow hair craze of the season.